Monica here! 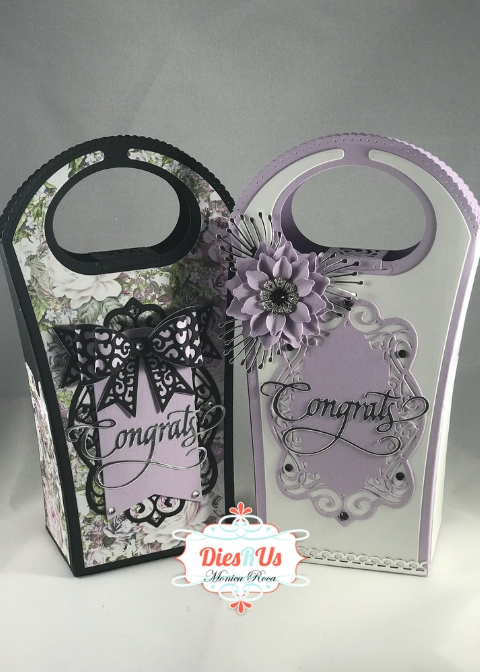 And back on the blog today to share two gift bags I decorated with some fabulous dies from Dies R Us. I took a more clean and simple route on one, while the other is busy as can be :), just changing a few elements and you get such different results! I made a quick youtube video for you to go over all of the details of the gift bags as well as the products used. Thank you so much for stopping by! Happy Crafting! Beautiful, someone will be happy to receive these. Oh I love these beautiful treat boxes with striking color combo and fab dies! Great inspiration again Teamie!